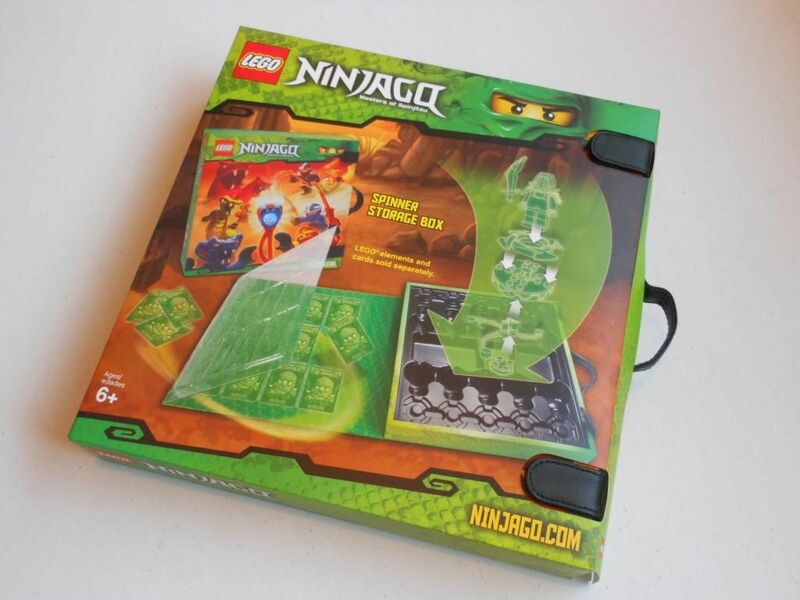 Back in October 2012, I reviewed NinjaGo, a Lego game that I didn't rate particularly highly. While I didn't think much of the game, I didn't have the heart to get rid of it because... Well, you know... It's Lego. You can't get rid of Lego. Anyway, I kept the game, and played it a few times with my 11-year-old brother-in-law. He really enjoyed it, so I guess Lego know what they're doing after all! 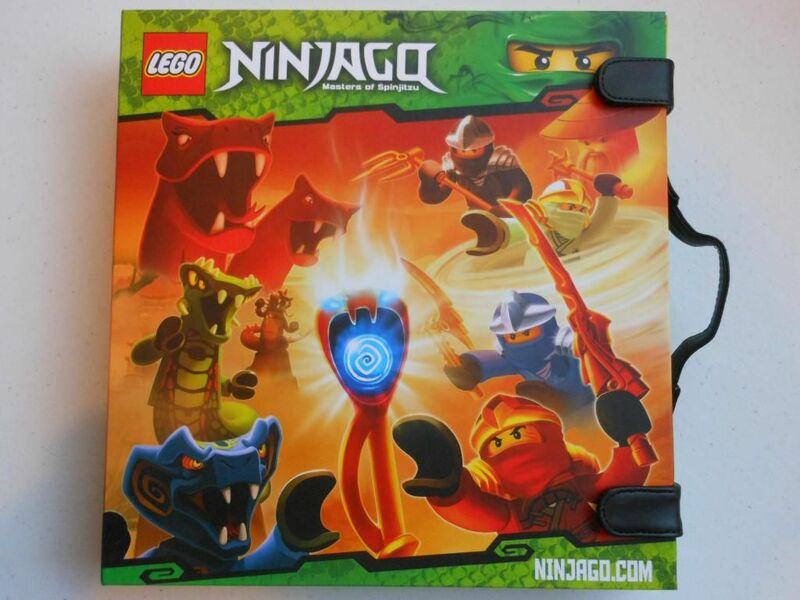 Fast-forward to February 2013: I discovered Amazon.co.uk were having a sale on some of their Lego products, including a NinjaGO Spinner Storage Box. These nifty little cases are normally £15 or so, but Amazon were selling them off for less than £5. I don't particularly need a storage solution for my epic collection of two NinjaGO spinners, but I know a bargain when I see one. I purchased one of the cases, thinking it would be a bit tidier than the screwbox I had my spinners stored in; but I wasn't really expecting much. However, when the case actually arrived, I had to admit I was pretty impressed. It came in a nice cardboard sleeve to keep it unmarked, and I was slightly amused to see this sleeve included a diagram showing how to put the Lego bits inside. Have we really reached the stage where we need instructions on how to put things in a box? 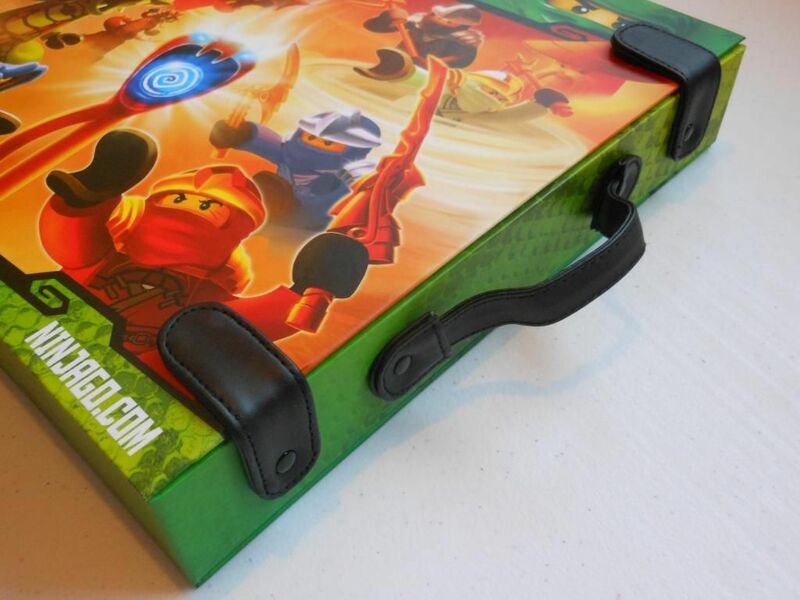 The NinjaGO spinner storage case - Ninjas are so cool. The case itself is very sturdy, with a durable plastic handle and two straps that fix in place with poppers to hold the lid closed. The case is actually well made and sturdy. Inside, there is a plastic flap to store cards in, and a moulded plastic section that can house plenty of spinners, figures, weapons, blocks, and instructions. 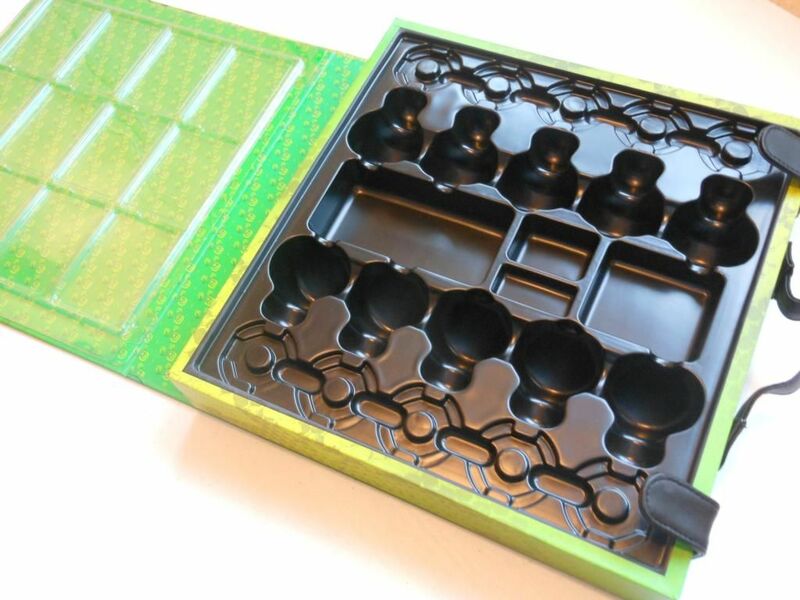 Moulded tray stores 10 spinners and accessories. It's a good little product: Certainly not worth £15, but well worth £5. And yes, it does look tidier on my shelf that that old screwbox I was using before.